- Made with high-quality aluminum alloy, that perfectly matches your MacBook, and excellent in heat radiation. 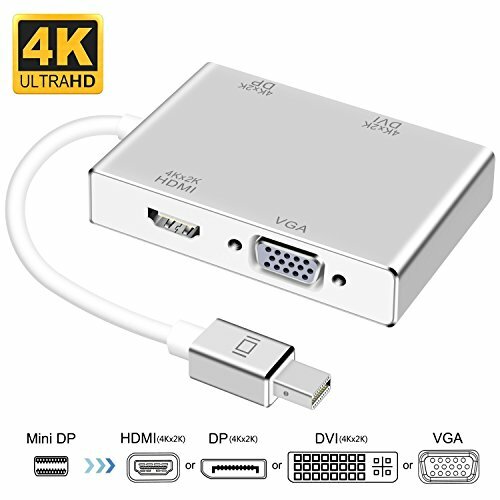 - Made with latest upgraded chipset supports Mini DisplayPort 1.3 version, that the video transfer more efficiency & smoothly. - For the following Apple laptop models: MB466, MB467, MB470, MB471, MC026, MB604, this Mini DP Adapter can't transfer out audio, but video only. If you have any questions about this product by XAHC, contact us by completing and submitting the form below. If you are looking for a specif part number, please include it with your message.